Sydney and Area Chamber of Commerce is to be the voice of the private sector in the Cape Breton Regional Municipality (CBRM). The Chamber promotes the civic, economic and social welfare of the people and businesses that call the CBRM home. They encourage growth and development while embracing the rich cultural tapestry and economic history that makes Cape Breton a unique place to live and do business. The Chamber fosters the entrepreneurial spirit and visionary spirit that will take us into the future. Over the years, the Chamber of Commerce has played a significant role in shaping the local economy. The Chamber was a lead advocate for the construction of the Canso Causeway prior to the start of this project in 1952. They were also advocates for the restoration of the Fortress of Louisbourg prior to the start of this project in 1961. The Chamber spearheaded the formation of the Cape Breton Tourist Association in 1958, the precursor of Destination Cape Breton. Other areas of concern addressed by the Chamber since its establishment include the elimination of long-distance telephone charges amongst some Cape Breton communities, lobbying for additional television stations, and the establishment of the Sydney Harbour Development Board and Convention Cape Breton. The Chamber was also the original proponent of the “Think Cape Breton First” campaign. The economy has been undergoing a dramatic change since the late 1990s, from one centered on coal and steel to one with a much broader range of elements, including innovation and knowledge, tourism, trade, and services. Our natural resources still remain an economic driver for our economy, including remaining coal reserves, deep water offshore oil and gas exploration, and renewable energy in the form of geothermal, hydro, and wind. As well, the planned developments around the Port of Sydney with its newly dredged harbour to 17 meters depth holds great potential for our region’s future. Our region still remains the land gateway to the province of Newfoundland and its oil and gas expansion. 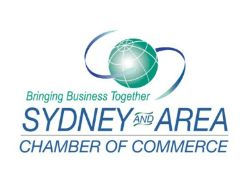 The Sydney and Area Chamber of Commerce now boasts a membership of nearly 500 representing over 12,000 employees in the CBRM, making it the third largest Chamber in the Nova Scotia. The Chamber continues to act as an advocate for local business, and the progressive development of our local economy. They keep a close eye on government activities at all three levels, and advocate for policies, programs, and developments that would benefit those who live and do business in the Cape Breton Regional Municipality.